For designers who are exploring new shapes using generative algorithms, Grasshopper® is a graphical algorithm editor tightly integrated with Rhino’s 3D modeling tools. Grasshopper requires no knowledge of programming or scripting, and yet, it allows designers to build form generators from the simple to the awe-inspiring. 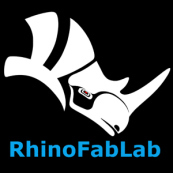 Come and see the latest on Rhino 5 and Grasshopper during a presentation by the director of RhinoFabLab, Andres Gonzalez. For more information, please contact Jackie Nasser or call (305) 513-4445.